It is that time of the year again, architectural Christmas, or as others may know it as the National Architecture Conference. Given it is an annual festival where the extended Australian architecture family gather to meet and exchange presents (ideas), the title seems apt. This year the festivities are taking place in Adelaide, a city with growing design talent and a beautiful built heritage. Following on from the highly successful event at Melbourne’s MPavilion last October, the brilliant people at Parlour took the opportunity to extend the conversation about the role and impact that woman have on our cities. To introduce the session, the outgoing Chair of the Australian Institute of Architect’s National Committee for Gender Equity, Emma Williamson provided an opening address. After highlighting the recent achievements, both large and small of the NCGE, She then pivoted to the importance of flexibility in life and flexibility in our cities. Williamson noted that city shaping is about making the right moves on the macro scale, whilst not losing sight of the smaller scale. It is about the city and the village, and it is about playing the long game over short term thinking. Judith Brine, a South Australian architect and academic and past councillor who is active in discussions surrounding South Australia’s built environment. Susan Phillips director Phillips/Pilkington Architects who as an architect continues to publicly advocate for high quality design outcomes for Adelaide. The conversation that transpired from this group was fascinating. Continually zooming inwards and outwards, from broad city policy, down to the design evolution of the 1950’s domestic kitchen and how it became a tool for social change. Economics, politics, education and design were all discussed as interconnected cogs in the machinery of city making. Midway through the discussion a short video was shown entitled ‘My Story, My City’ which was a collaboration between Angelique Edmonds, Joanne Cys and Peter Drew. This project looked at the social inclusiveness of our cities through the eyes of young refugees who have recently arrived to Australia. This astonishing project, highlights the human aspect of cities that is sometimes forgotten about. Overall this event offered a deep discussion on the cities we would like to live in, as well as some ideas on how to get there. There continues to be a large community interest about how Australia’s cities can retain their livability which has in turn led to frequent public conversations in this area. Set against this backdrop of commentary, this particular panel discussion was unique. Central across all speakers was an ethical, human centred approach to the critical thinking. Despite this focus, the discussion was not idealistic, but realistic and it was hard not to leave feeling positive about the potential future of our cities. No conference is complete without the obligatory opening party. This year the event was held at a former printing works that has been transformed into an innovative events venue that showcases world-class graffiti artists. 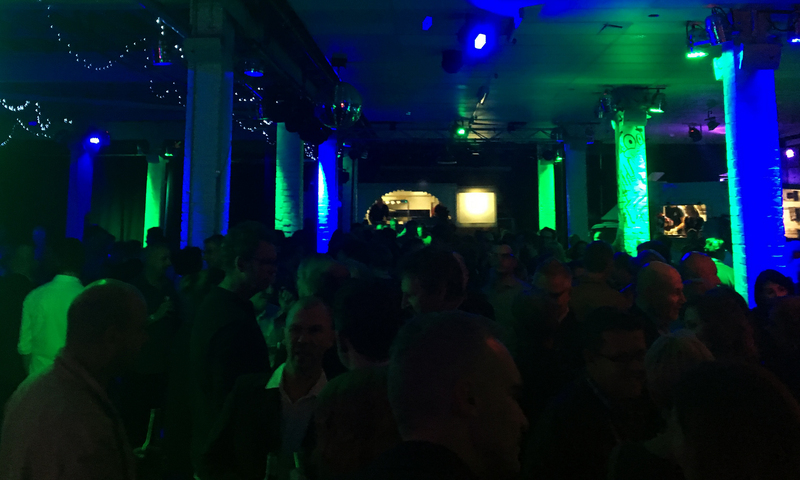 the venue known as Published Arthouse made the Melbournians feel right at home. As always ‘Architecture Christmas’ promises to offer a great deal of food for thought. Stay tuned for day 2 of How Soon is Now. 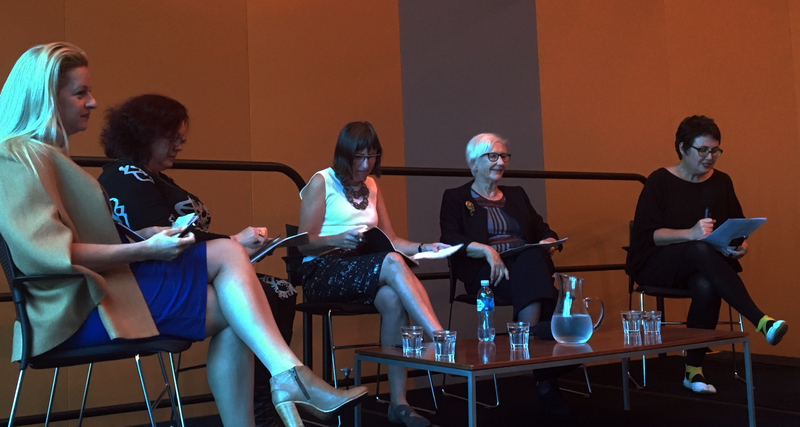 This entry was posted in 2016 Architecture Conference, all posts, Gender Equity in Architecture, News, Review and tagged Angelique Edmonds, Australian Institute of Architects, How Soon is Now, Joanne Cys, Judith Brine, Justine Clark, Lin Hatfield Dodds, My Story My City, National Architecture Conference 2016, Peter Drew, Published Arthouse, Susan Phillips. Bookmark the permalink.